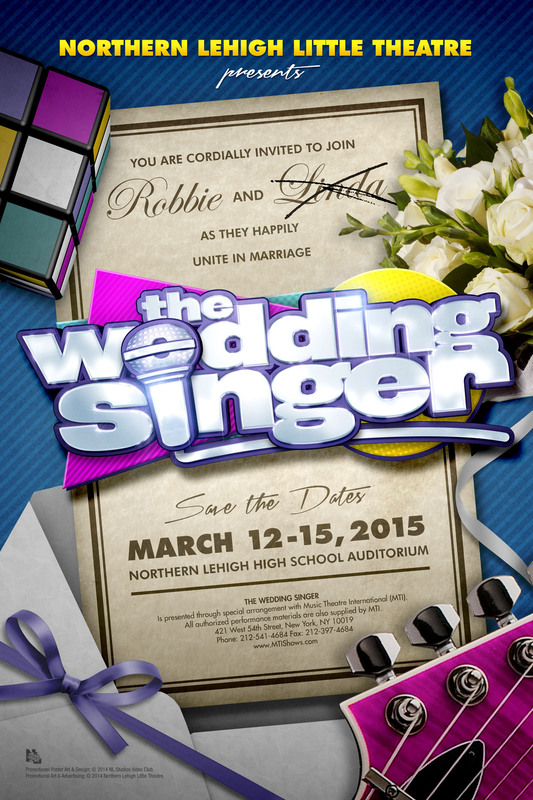 The Northern Lehigh Little Theatre is pleased to announce that its 2015 spring musical will be The Wedding Singer, a stage adaptation of the hit 1998 Adam Sandler comedy. Set in the year 1985, The Wedding Singer tells the story of Robbie Hart, New Jersey's favorite wedding entertainer, who is unexpectedly left at the altar by his own fiancee. The show features a high-energy 80's pop/rock soundtrack that is expected to delight and thrill audiences of all ages. Originally performed on Broadway in 2006, The Wedding Singer musical was written by Chad Beguelin and Tim Herlihy, with music by Matthew Sklar and lyrics by Chad Beguelin. Performances will be held in the Northern Lehigh High School auditorium beginning on Thursday, March 12th, 2015 at 7:00 p.m., continuing Friday, March 13th at 7:00 p.m. and Saturday, March 14th with a 2:00 p.m. matinee and 7:00 p.m. evening performance. The show's run will conclude with a 2:00 p.m. matinee on Sunday, March 15th, 2015. Mr. Nicholas Sander, who previously helmed the Freddy Award-nominated Little Shop of Horrors and Dirty Rotten Scoundrels, will return to direct The Wedding Singer. 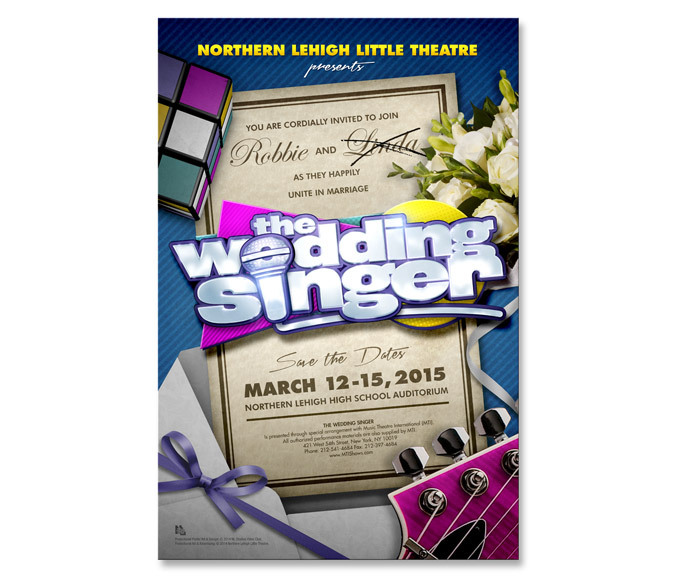 Northern Lehigh Little Theatre has released a teaser poster for its 2015 production of The Wedding Singer along with a teaser poster for its 2014 Fall Play, Get Smart.